Over at Tom's Guide (known as Tom's Hardware in the olden days), there is a report released that "grades" mobile providers in the US. Using factors including network performance, online help, and phone selection, T-Mobile was the provider that won the day overall. Notable items in the report include AT&T getting the highest marks on customer support, and Verizon leading in network performance. This guide also compared five discount providers, or MVNOs (Mobile Virtual Network Operators - a company which does not own the infrastructure it uses). 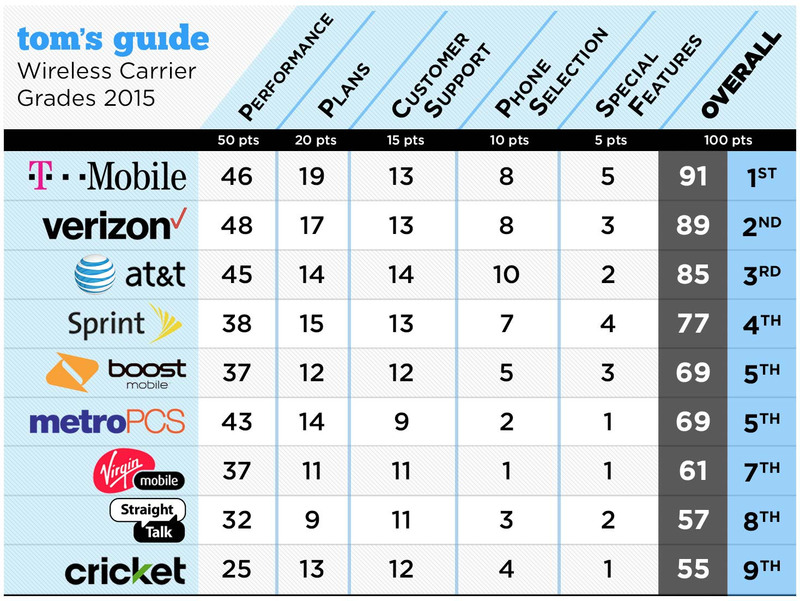 Overall even the top discount carrier didn't fare as well as the major carrier in last place. With the new iPhone on the horizon and others with contracts expiring in the near future, this guide is an interesting read. If you're getting a new phone anyway, you might want to take a close look at a new provider as well. You can take a closer look at the overall grades below, but click through to the actual guide to get more detail on the conclusions.